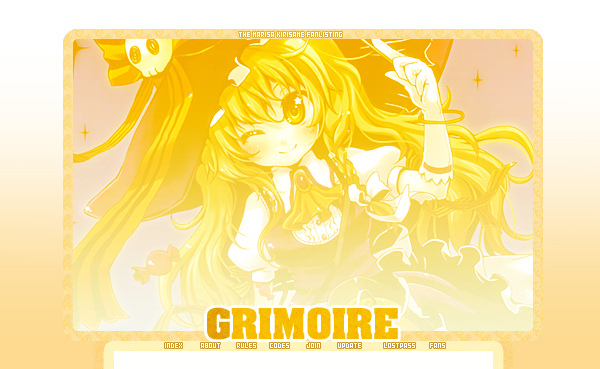 You've reached GRIMOIRE, the TFL-APPROVED fanlisting for MARISA KIRISAME, one of the playble characters of the doujin videogame TOUHOU PROJECT! Touhou Project is property of Team Shangai Alice, all rights reserved. This is only fansite and no infrangiments to those rights are intended. Layout is (c) Akira K.S. since November 12th, 2010.